Whole carcasses of lamb are hung for 7-10 days to mature before being butchered and boned. Pig carcasses are butchered and prepared, either as pork joints, cured for bacon and gammon and made into a variety of our own recipe sausages. 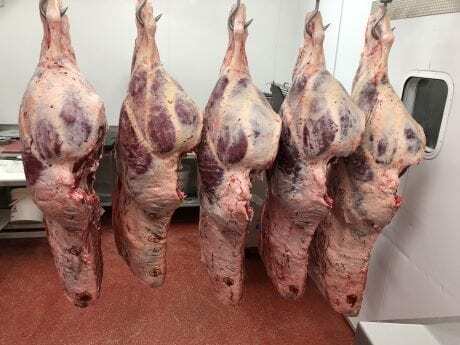 The hanging or maturation of meat, improves the tenderness and eating quality. Maturation is dependant on the controlled environment and temperature it is kept and the facilities and conditions at our unit allow us to do so.